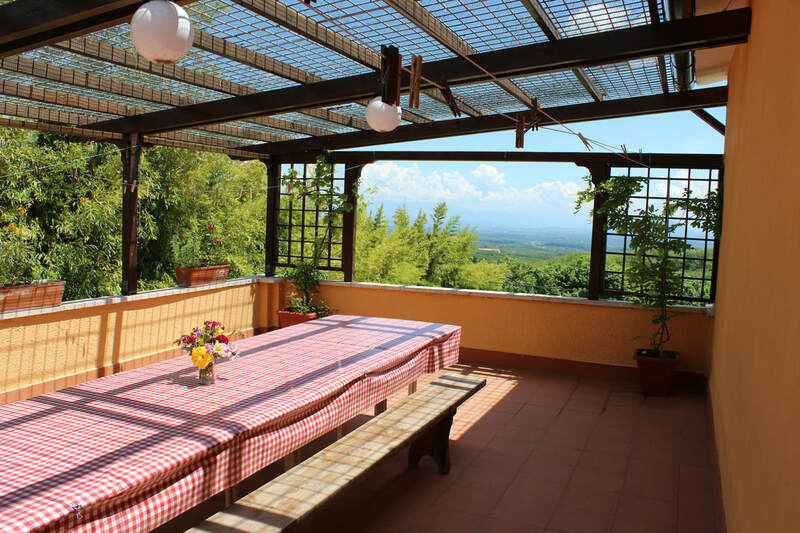 One hour from central Rome, the Hazelhut is an activity based English language centre, which aims to provide a wholesome family-oriented experience for children and schools. Aimed mainly at children aged 8 -13, we celebrate independence of thought and encourage children to problem solve through a wide range of activities. By living and learning in a rich natural environment, we hope the children who attend our courses will become more socially conscious and environmentally aware as well as having an enriched use of the English language. We provide a safe, supportive environment in which children can explore the world around them through a variety of didactic and child-driven activities. We have an open-door policy for children from all cultural and religious backgrounds, although some basic knowledge of English is useful. The Family Fabric Day for all family members! Overnight activity weekends are open to children from 8 to 13 years and include full board and lodging as well as all activity costs. The costs per child are: 200 euros, providing the booking is made 2 days before the weekend begins. The weekend begins at 10am on Saturday and ends at 5pm on Sunday. Children aged 5 to 8 years may attend during the day from 10am to 5pm. The cost for this is 50 euros per day - early bookings are always appreciated! Under 8's days are open to children aged 4 to 8 years and cost 50 euros per child, which includes lunch, snacks and all resources. We regret that discounts are NOT available for these events. *Note: for Under 8's Days children may be left without parents provided they are fully independent, otherwise we ask that parents remain with them for the events. Parents who do so are asked to contribute an additional €15 towards lunch. BIRTHDAY PARTIES ARE CATERED FOR AT THE HAZELHUT - contact us for more info via email: hazelhutrome@gmail.com!